to support the product lines they represent. Eastown Automotive has been a member of the Uni-Select Network since 1992. The Uni-Select warehouse stocks $23,000,000 cost inventory of auto parts and shop equipment representing 250 manufacturers. There are over 400,000 SKU items stored on the premises. Kam has a strong working relationship with Eastown and he personally takes care of Eastown's requirements. Uni-Select's inventory and service combined with Kam's support has contributed greatly to Eastown's growth over the years. Kam has personally taken responsibility to be the dedicated Uni-select sales rep. for Eastown automotive. He considers Eastown to be a special interest Platinum account. Uni-select congratulates Eastown Automotive for their past success and offers their best wishes for future accomplishments. Tom has 14 years of experience and product knowledge which he brings to Eastown Automotive in the capacity of Territory Manager for Eastern Ontario for Specialty Sales & Marketing. 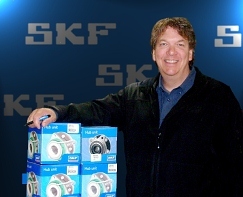 SKF, Beck Arnley, GE Lighting, KD Tools, Cliplight and Pro Select (ASC) Water Pumps. Eastown Automotive has supported all the major lines which they inventory that Tom Dunn represents. Tom refers to Eastown as an outstanding loyal account that has seen steady growth. 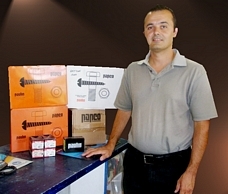 Jayson has worked in the industrial automotive industry for almost 15 years. Jayson has been the dedicated Exide representative to Eastown automotive for over 3 years, working hard to help us grow new business. Since line change in 2001 Eastown has increased sales and expanded coverage of their commercial and industrial battery lines. 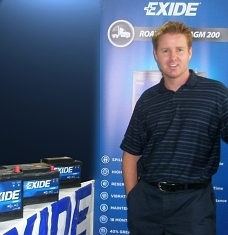 Jason at Exide refers to Eastown as a leading dominant force in the South Eastern part of Ontario. on the changing automotive aftermarket industry. 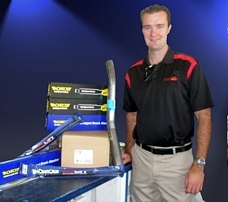 Eastown has been dealing with NGK since they first came to the Canadian Market. Eastown is a loyal customer of NGK supporting all their products, including spark plugs, oxygen sensors, wires for domestic and Imports. 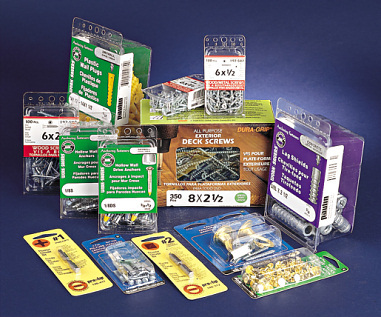 Eastown was the first automotive jobber in Eastern Ontario to carry wire sets for domestic applications. 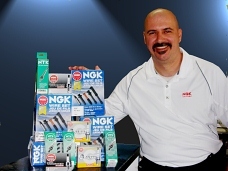 We at NGK thank Terry Fouda for his continued support and assisting in our growth over the past years..
Rick Carroll has been with his company 35 years holding many titles including National Sales Manager, Distribution Centre Manager and his current position of District Sales Manager, a position he has held for the last 20 years.Rick has won various sales awards including District Manager Of The Year three times and Uni-Select Rep Of The Year in 2000.He has had a long association /friendship with Eastown over the past 20 years ,and has helped Terry to grow his traditional as well as his heavy duty filter and brake business. 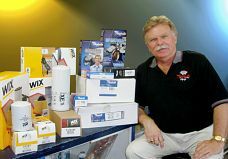 Referring to Eastown, Rick says "Their sales have continously grown with their product lines over the years and they have been extremely loyal". 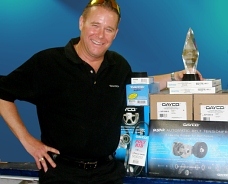 Paul Durkin has worked in the Automotive Aftermarket for over 40 years. 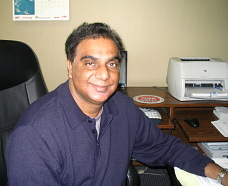 He brings both knowledge and excellent salesmanship to the table as the Canadian Sales Agent for Sea Foam Sales. 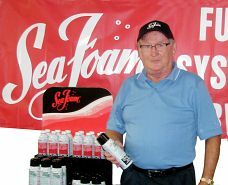 Eastown Automotive Supply and Sea Foam Sales have a strong business relationship. And as Paul says "Anyone who uses Sea Foam will tell you... IT WORKS!". Click on image to see an official demonstration on how to use Sea Foam. Produced by the Sea Foam Sales Team. We at Tenneco thank Eastown Automotive for their loyalty and support throughout the many years. John Tsatsos has worked for Papco for the last ten years. He has assisted Eastown Automotive with their Automotive and Industrial fastener line.He has continued detailing Sales support with Terry at Eastown. He refers to Eastown as a premium account which has grown over the many years.